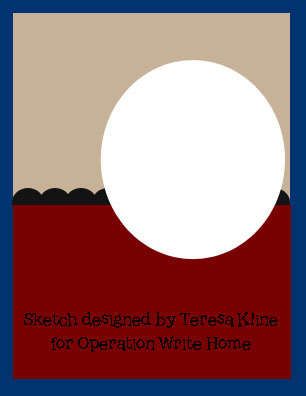 The Operation Write Home blog has issued a challenge to use Teresa's sketch shown below to make a holiday card for one of our heroes to send home to a loved one. 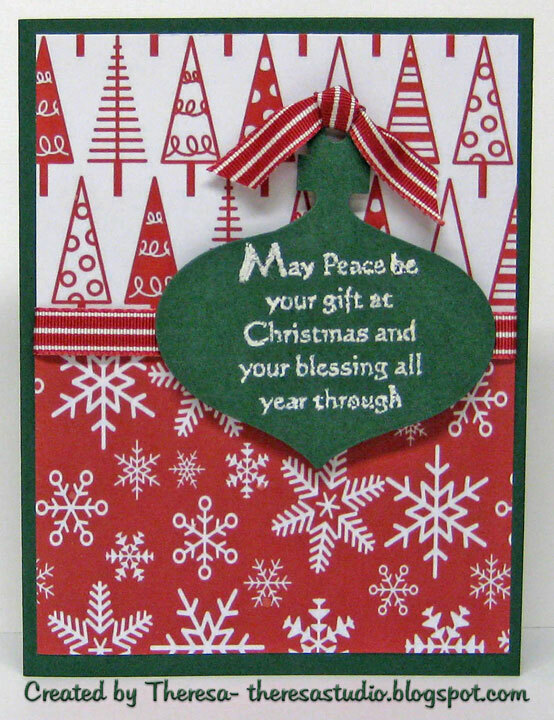 Head over to the Star & Stripes Blog to link up your holiday themed card. One random winner will be drawn to win the stamps that are posted over at the Star & Stripes Blog. I used some digi paper from Papercratin Magazine and a green CS for my base card. I cut an ornament with a Cuttlebug die and stamped a sentiment from Creative Clear Stamps with versamark and embossed with White EP. 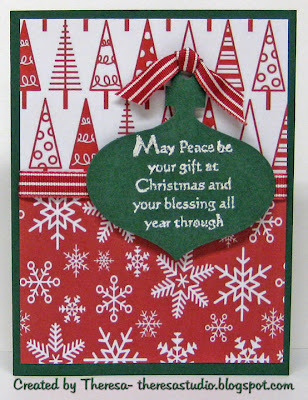 Added a ribbon to card and ornament. Visit Teresa's Blog Enjoy the VA Sunshine to see her card and leave a comment to win a stamp set but do quickly because the drawing is tomorrow. I am working on several cards to send to OWH along with this one. Support our troops. Theresa this is a gorgeous Christmas card! Thanks for supporting and playing along with Operation Write Home's challenge!